Aerial archaeologist Ben Robinson visits Amesbury in Wiltshire where excavations have revealed that the history of people living in this location dates back much further than previously thought. David Jacques explains why the discovery is of international importance and what it means in terms of unlocking the secrets of Stonehenge, located less than a mile away. Stonehenge has some company in the department of mysterious stone structures: In a new paper, researchers are now revealing that an unusual rock formation was discovered via sonar in the Sea of Galilee a decade ago. Divers who have since gone down to inspect it say it’s a 32-foot-tall cone-shaped formation made of “unhewn basalt cobbles and boulders,” reports LiveScience, which describes it as a cairn—a stack of rocks piled on top of each other. 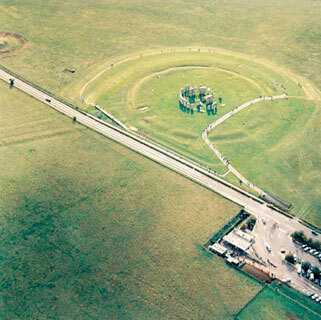 Its diameter measures about 230 feet (double that of Stonehenge’s outer circle), and it’s estimated to weigh 60,000 tons. Though the researchers admit they don’t know what the structure’s purpose was (LiveScience notes similar cairns have been used to mark graves), they have determined it was definitely made by humans, likely on land; a rising sea would have later submerged it. “The boulders have natural faces with no signs of cutting or chiseling,” researchers wrote in the International Journal of Nautical Archaeology. 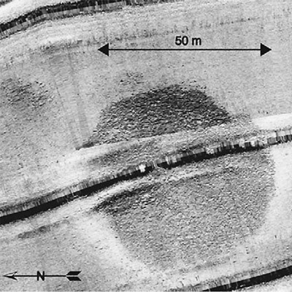 “Similarly, we did not find any sign of arrangement or walls that delineate this structure.” Up next: The team hopes to conduct an underwater archaeological expedition in order to mine for artifacts and pinpoint the age of the structure—which one researcher believes could date back more than 4,000 years. Work has just started to test build three Neolithic houses which will form the focal point of the outdoor gallery of the new visitor centre and complement the stunning permanent exhibition indoors to tell the story of Stonehenge in vivid detail. Rare examples of ten Neolithic houses were discovered at Durrington Walls as part of the Stonehenge Riverside Project in 2006 and 2007. Although they provided a lot of archaeological evidence on which to base this project, the appearance of the houses above ground is not known and some educated guess work is needed to build the reconstructions. In order to conduct various experiments to test things like roofing materials and construction techniques, around 60 volunteers are helping us to building prototypes of these houses at Old Sarum Castle, under the guidance of English Heritage and the Ancient Technology Centre experts. We are holding three open days at Old Sarum Castle to allow the public to see the Neolithic house prototypes from Saturday 25 to Monday 27 May. If you fancy brushing up even further on your knowledge of prehistoric life, you can also join one of our tours. These last for 1 hour 30 minutes and include hands-on activities. Tickets can be purchased at the site on the day. For more information please contact 0800 333 1183.